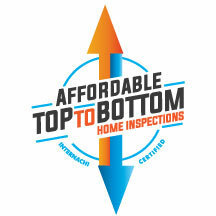 Before you buy a home, one of the tingls you should do is have the home inspected by a qualified Home Inspector. Buying a home is expensive enough as it is so why would you choose spend another $400 if your not required to? In this article We'll delve into what a Home Inspection can reveal and why you shouldn't forgo this Optional Procedure. Your first clue that a home inspection is important is that it can be used as a contingency in you purchase. This contingency provides that if significant defects are revealed by a home inspection, you can back out of your offer, free of penalt as long as you are within a certain timeframe. The potential problems a home can have must be pretty serious if you choose to walk awy from such a significant contract. Many Home Inspectors vary in experience, ability and thoroughness, but a good inspector should examine certain components of the home you wnat to buy and then produce a written report covering his or her findings. The typical inspection last two to three hours and you should be present for the inspection to get a firsthand explanation of the Inspectors findings and to ask questions. Any problem that the inspector discovers will make more sense if you are there to see them in person instead of relying on a photo in the report. A really great inspector will even tell you about routine maintenance that should be performed, which can be a great help if you are a first-time homebuyer. While it is impossible to list everything an inspector could possibly check for, the following list will give you a general idea of what to expect.